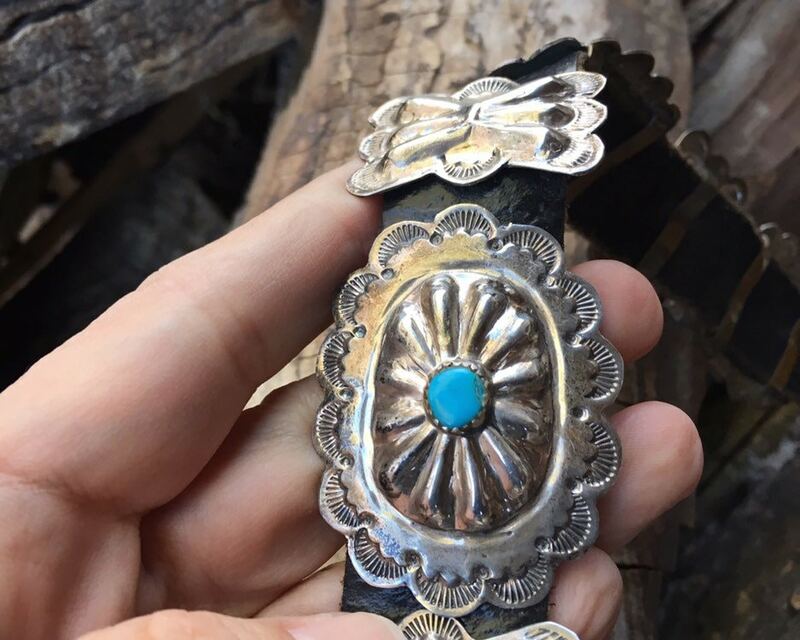 This small vintage sterling silver and turquoise concho belt is a wonderful size and style. 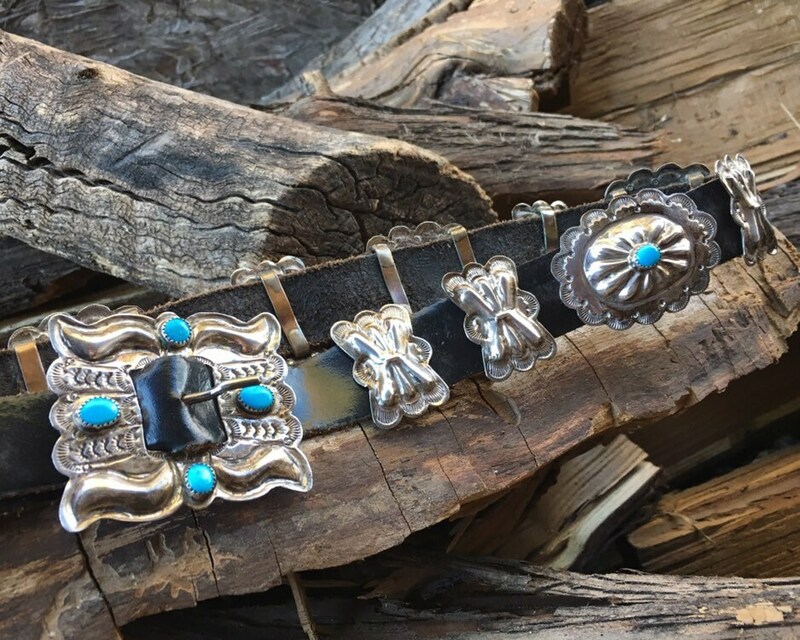 It has all the elements of a traditional Navajo belt, the oval shaped conchos interspersed with "butterfly" spacers--and all the silver work done by hand, including all the stamping. The blue turquoise is the color we've come to associate with the word "turquoise," bright and some of the cabochons with small bits of matrix. 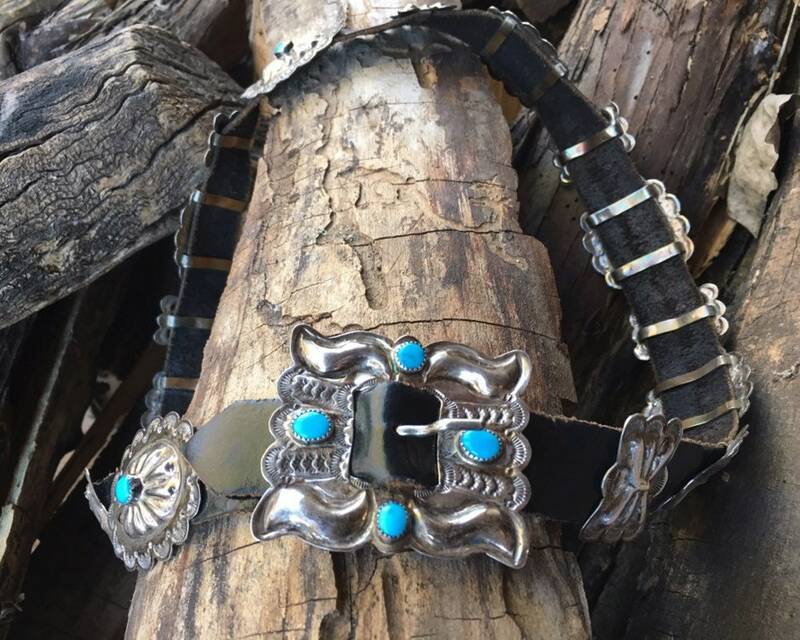 The piece was made by Navajo silversmith Benson Yazzie, who is known for this style, which he made in varying sizes. 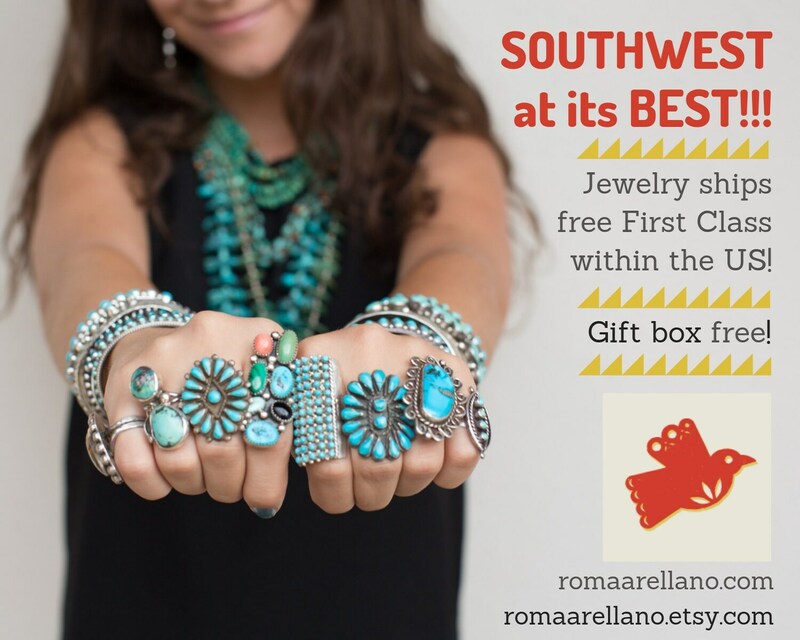 This smaller size is perfect for the person who wants that Southwestern look without the heavy weight and flash of a large concho belt. 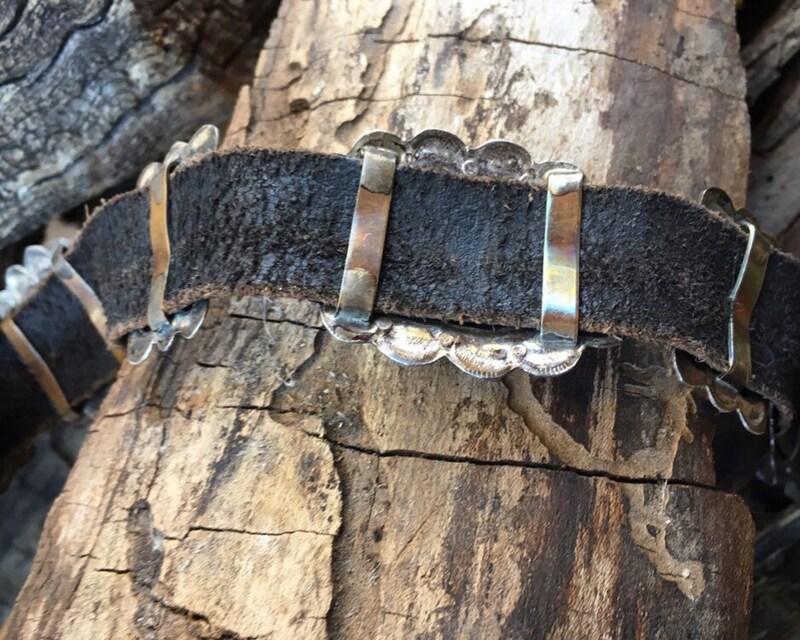 The conchos and spacers are all thin, and the black leather belt itself is light and supple. There is one extra spacer at the end. 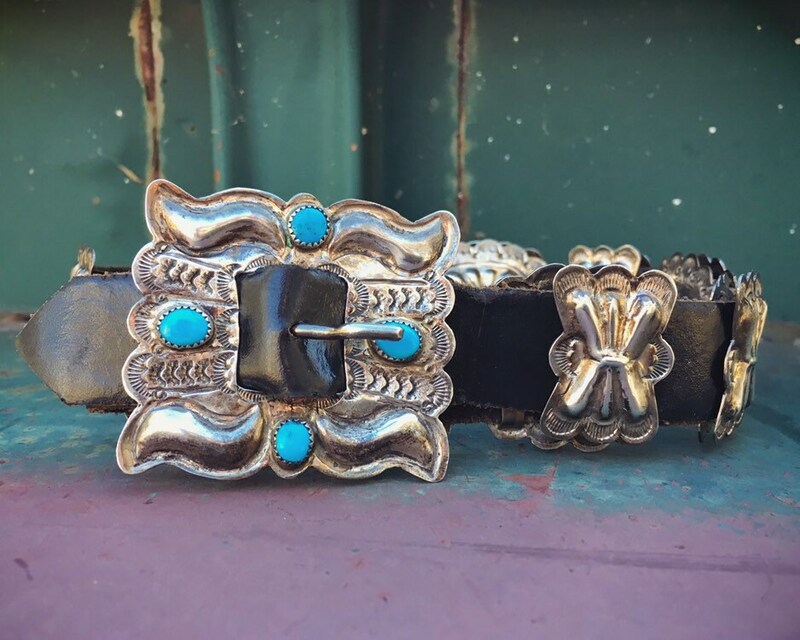 Not including the buckle, the belt has eight conchos and nine spacers. 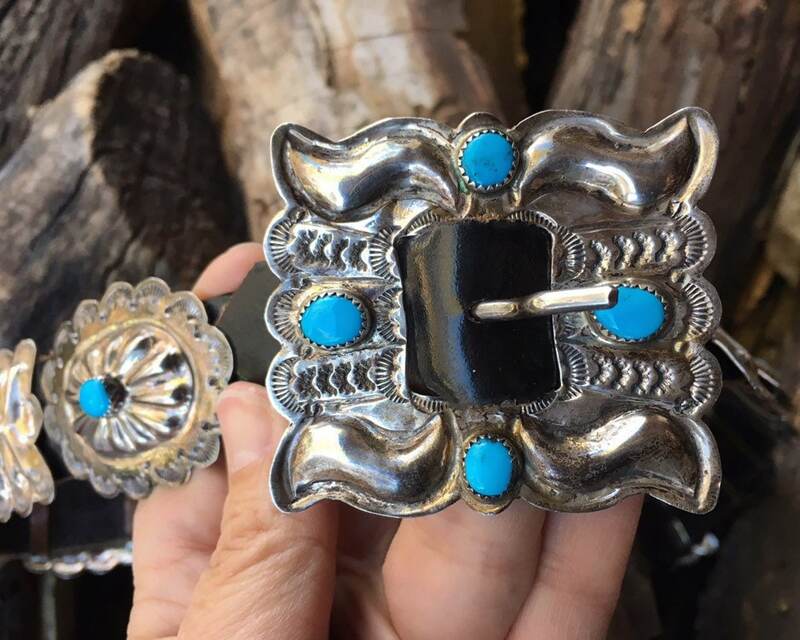 The buckle measures 2-3/8" wide by 2" tall. Oval conchos are about 2" wide by 1-1/2" tall. The belt is 7/8" wide just over 34" long with only three holes, the first at about 30" and the last at 32". The belt has a snap, allowing one to take off the belt buckle and put onto a different belt if you wish. 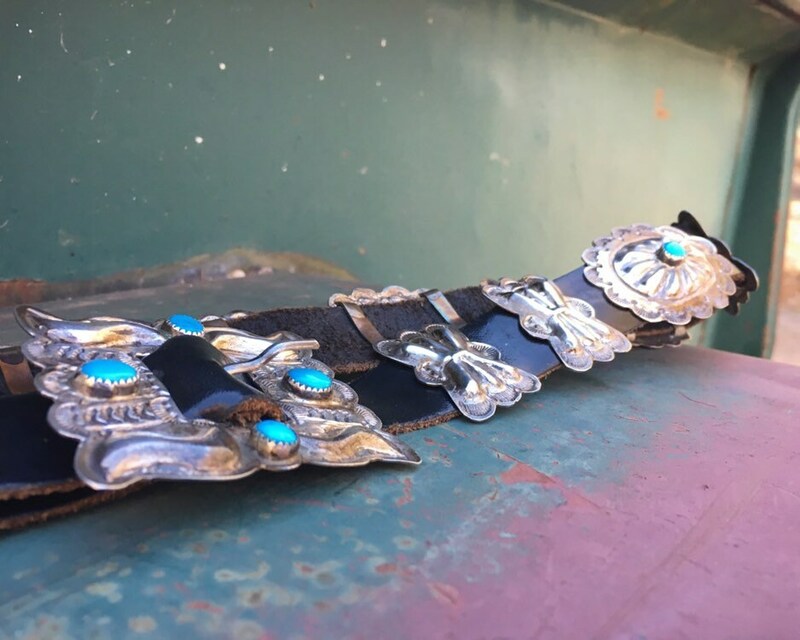 The conchos and spacers slide off, not super easily but they do move; they're on fairly tight to keep them from moving about while the belt is worn. 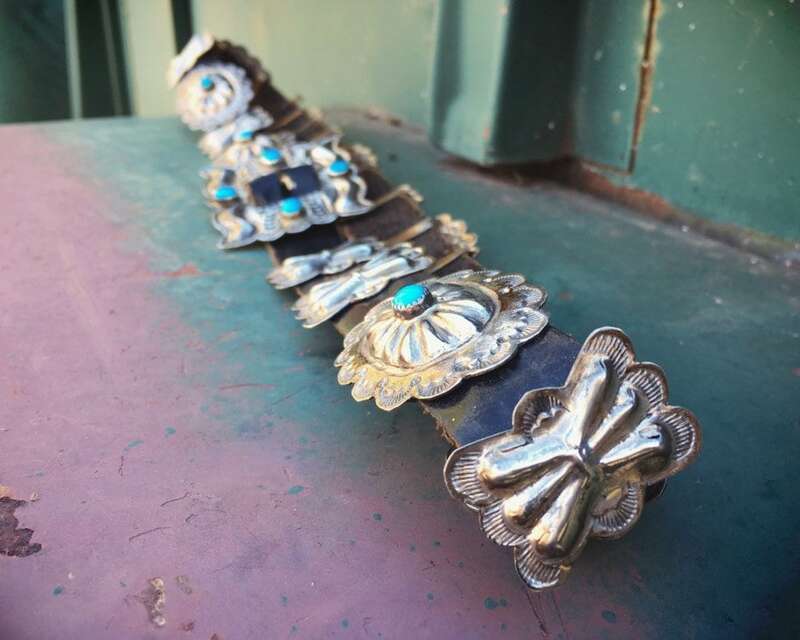 Belt Sizing rule of thumb: Conchos can be worn low on the hips or around the waist. To size for hips, take your hip size and add 4” to it. For example: 28 hips = 32" belt size.